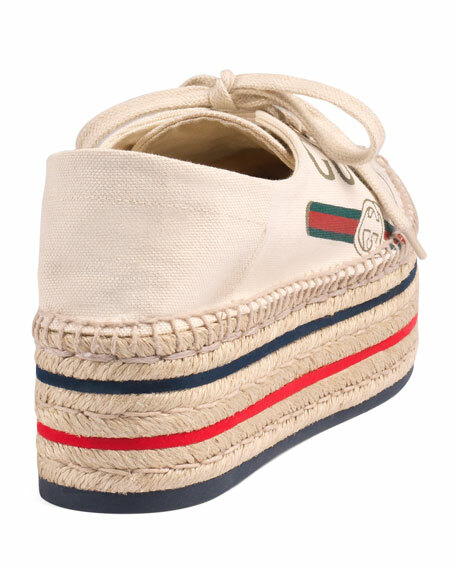 Gucci canvas espadrille with vintage logo. 3" striped double braided-jute platform. Made in Spain of Italian materials. 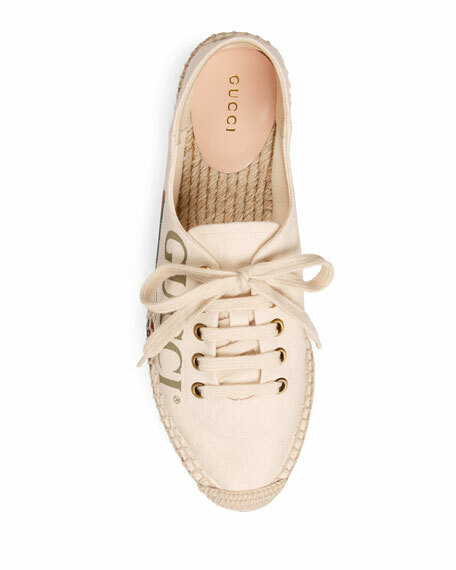 Gucci espadrille in GG Supreme canvas with gold bees print, a material with low environmental impact. Leather trim. Flat raffia sole. Round toe. Slip-on style. Made in Italy. Fit: Runs true to size. Gucci floral-printed canvas espadrille. 1" braided-jute platform. Round jute-capped toe. Slip-on style. Leather piping. Rubber outsole. Made in Spain. Fit: Runs true to size. Gucci chevron-quilted leather espadrilles with signature GG ornament. 1" braided-jute platform. Round jute-capped toe. Slip-on style. Padded footbed. Rubber outsole. Gucci chevron-quilted leather espadrilles with signature GG ornament. 1" braided-jute platform. Round jute-capped toe. Slip-on style. Padded footbed. Rubber outsole. Made in Spain. Fit: Runs true to size. 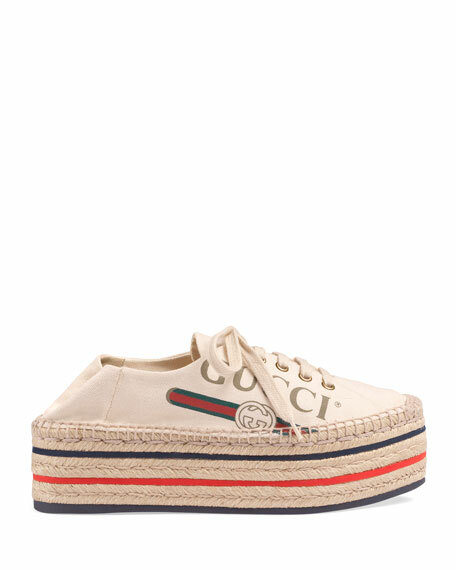 Gucci canvas espadrille with vintage Gucci logo print. 0.8" braided-jute platform. Round jute-capped toe. Slip-on style. Leather piping. Rubber outsole. 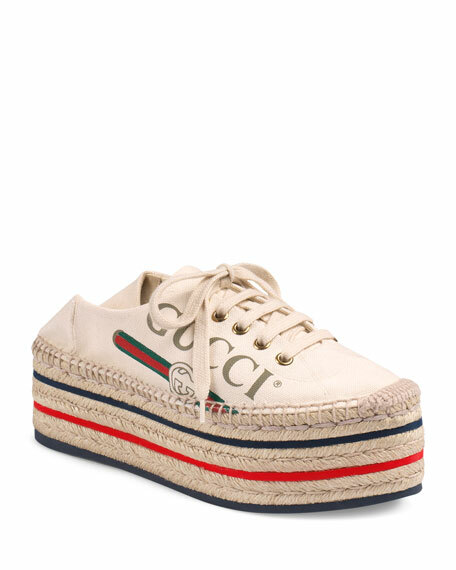 Gucci canvas espadrille with vintage Gucci logo print. 0.8" braided-jute platform. Round jute-capped toe. Slip-on style. Leather piping. Rubber outsole. Made in Italy. Fit: Runs true to size.